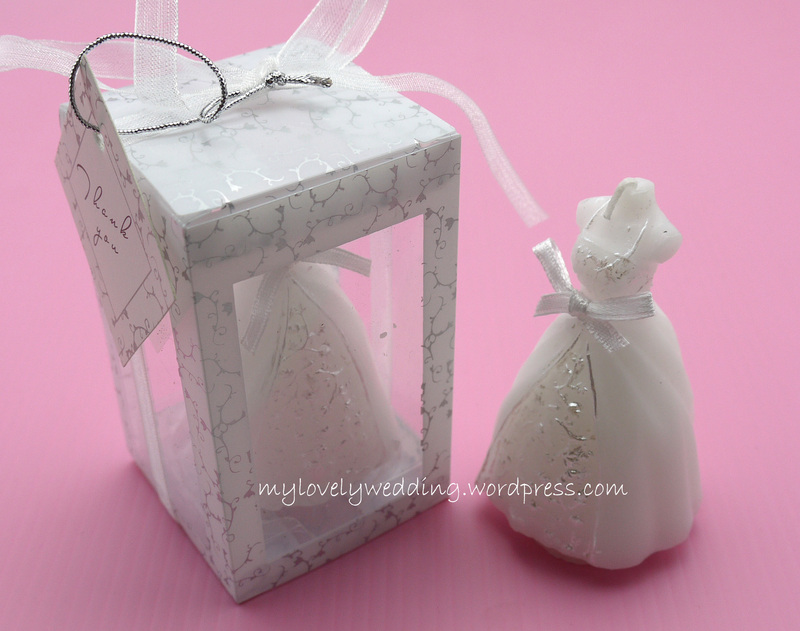 What should i give to my guest during my wedding? Marriage is a life event. We cannot take it simple. But once the wedding day is approaching, most of the beautiful bride will be facing the same problem. They will worry about what they should do and prepare to express their deepest appreciation to all guests who send their precious gift and spend their precious time by attending the wedding ceremony. In order to leave an unforgettable moment to all guests, we have a good solution for you. There are few most fashionable items in year 2012 to light up your wedding event. 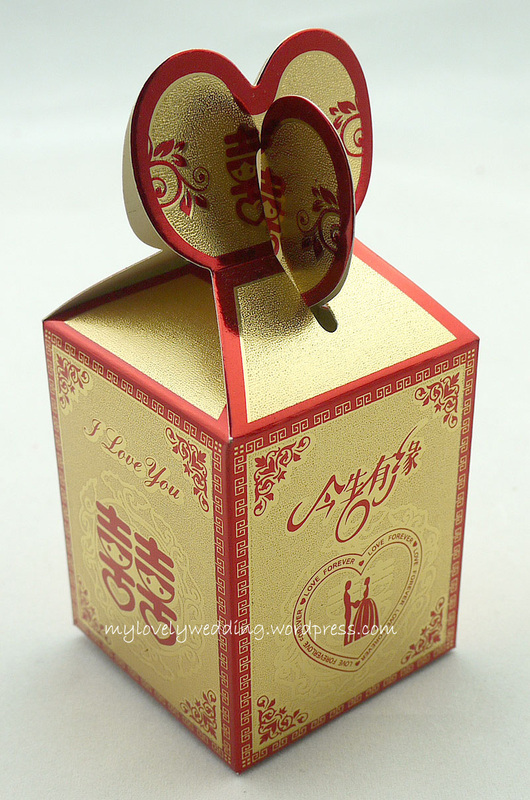 Everyone who receives this wedding gift surely will have your sweet moment engraved in their heart. 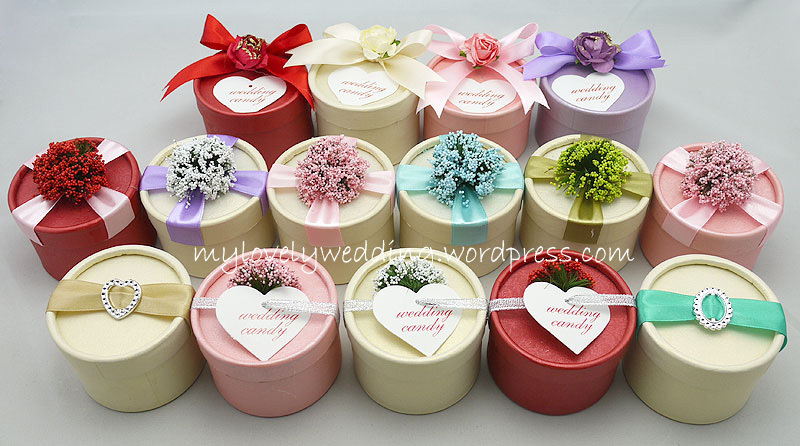 A pretty candy box with a little candy inside it for all guest surely will make them surprise and feel sweet. 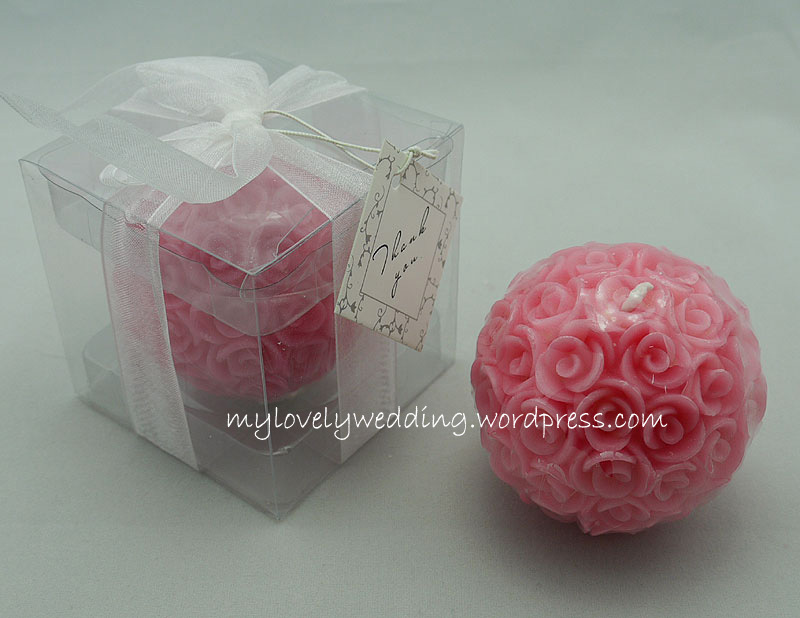 They are many types of design for wedding candle. Pick the one most suit your guest. Easy to be kept in make-up cabinet, inside wardrobe or put it as a display in living room. Girls prefer carrying big and elegant handbag when attending to any function. Imagine when having a wedding dinner with a table full of people, girls will start to worry where to place their handbag. With this handbag hook, their problem can be easily solve. 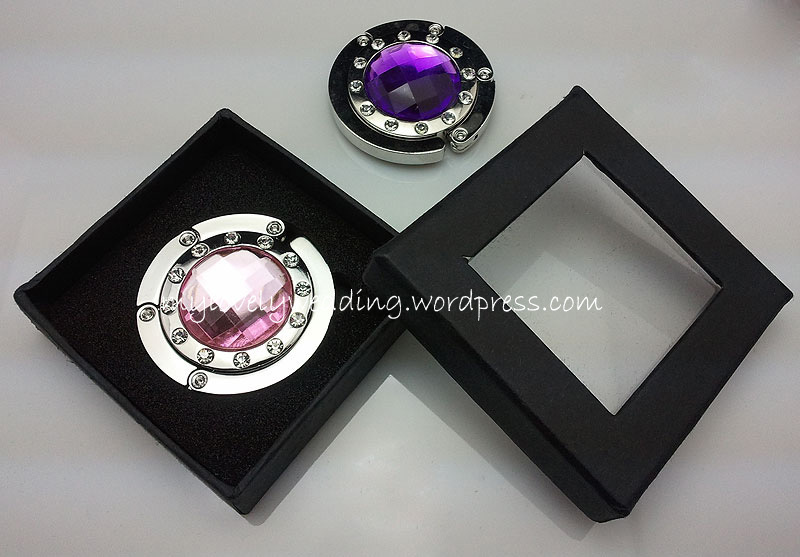 They are 2 types of handbag hook available. The one is the foldable hook and the other one is normal round hook. The classic quote from the movie Forrest Gump. Life is like a box of chocolate. For many people, chocolate can light up their life. Some people when they are happy or have completed some work task, they will reward themselve with a chocolate. Chocolate even being used to relief stress. 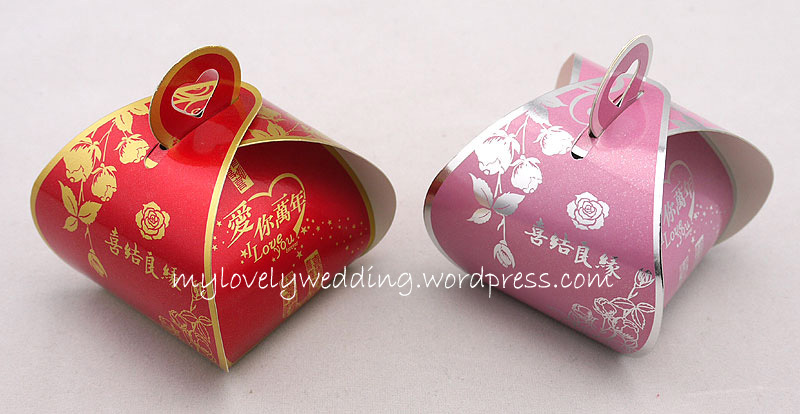 This round candy box are able to fit in 2 pieces of Ferrero Rocher chocolate or an egg. Choosing this as a wedding gift and by putting a chocolate inside the candy box, guests will surely feel sweet and appreciated. There are lots more wedding gifts to be grabbed. Next Next post: How to Have a Great Wedding on Budget?